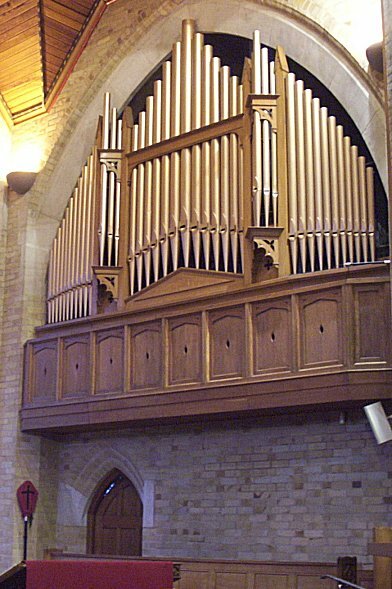 The present organ, pipework mostly from St Luke's Dudley, replaced a small two-manual Nicholson instrument that originally stood in the south-east corner of the nave before the chancel was built. Its original builder is unknown, but it was rebuilt (in Dudley) by the Walsall-based firm of Nicholson & Lord in 1907. 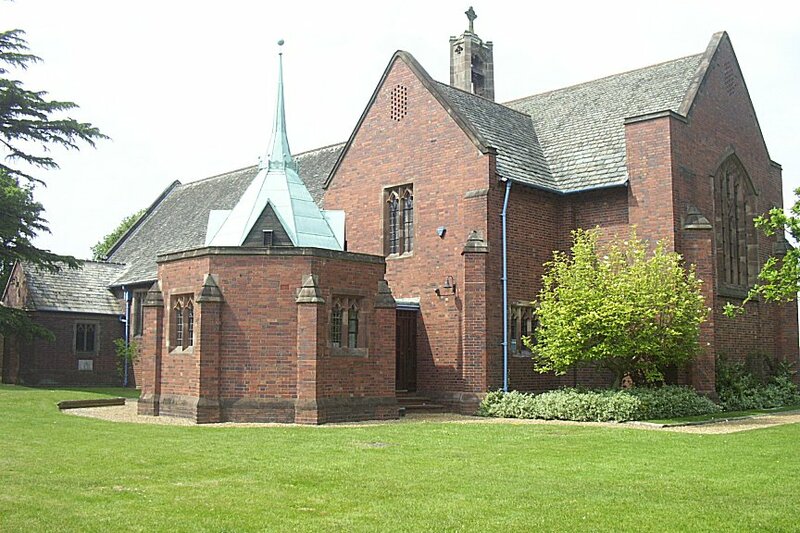 It was moved to Four Oaks in 1972, when the original Choir division was discarded in favour of one from Jubilee Methodist Chapel, Stoke-on-Trent, dating from 1905, the work of Laycock & Bannister of Keighley. The present instrument also contains pipework by J J Binns and, from the time of the 1972 rebuild, some new pipework by Rogers of Leeds. In 1987, a Solo division was added by extending some stops existing in other divisions. A substantial refurbishment was recently completed by Peter Spencer Ltd. This includes a Musicom console and data transmission system. A number of digitally generated stops have been added, and these are indicated in the specification. 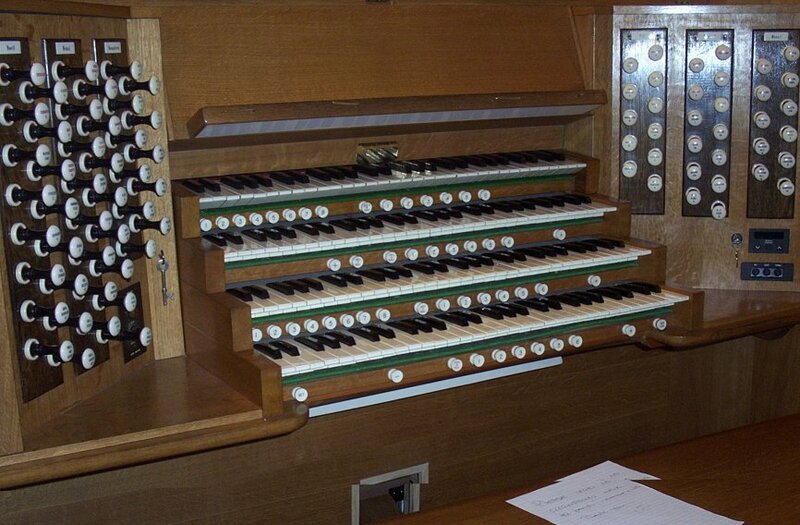 Earlier this year the opening recital of the newly restored organ was given by Professor Ian Tracey.